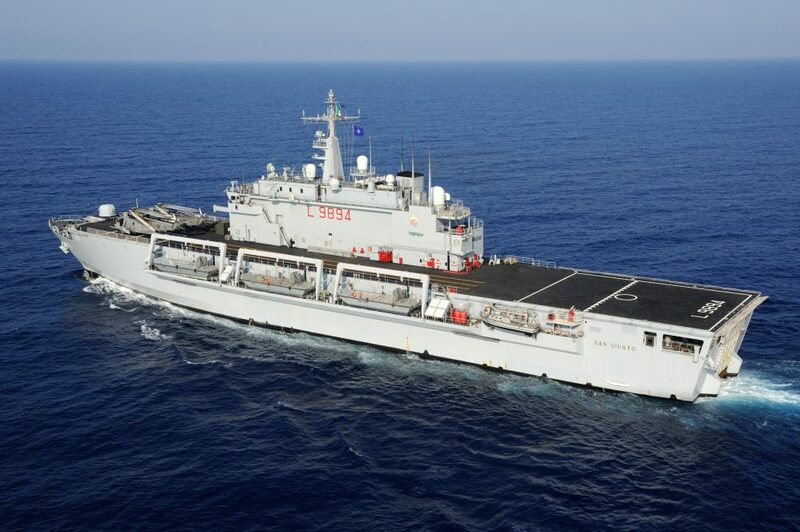 Today, the Italian ship San Marco has replaced San Giusto as the flagship of the EUNAVFOR MED operation Sophia Task Force. 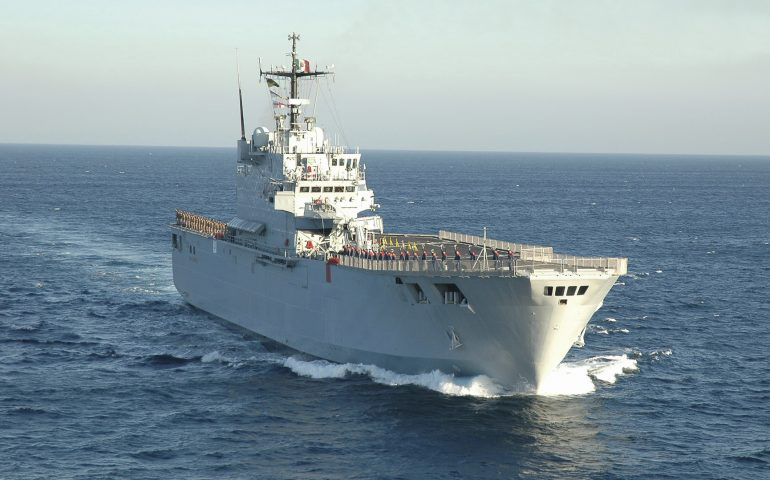 The Italian LPD (Landing Platform Dock) San Giusto carried out six months of deployment in SOPHIA Task Force, from 1 February to 1 August 2018, her second involvement in the operation. Since her arrival in the area, she has provided a significant support to Sophia, hosting the multinational Force Headquarters and contributing to the core mission of fighting human trafficking and smuggling networks. 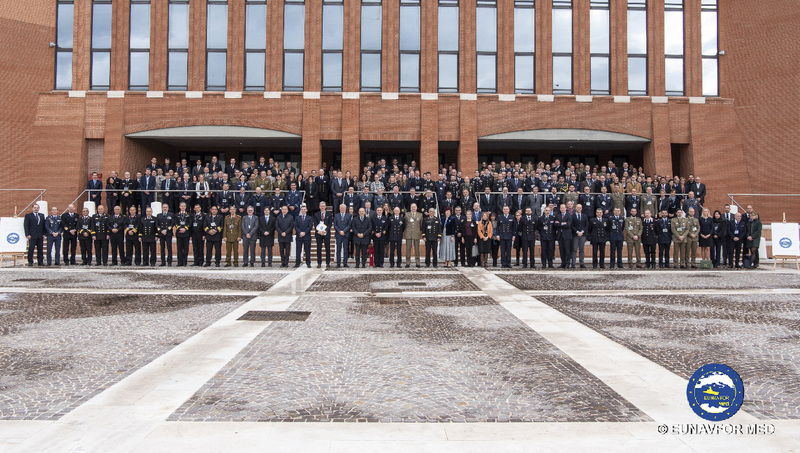 Remarkable the efforts during the establishment and activation on board of the newly created platform, the Crime Information Cell, activated last July the 5th , which opened a new chapter in operational cooperation between Common Security and Defence Policy (CSDP) and Justice and Home Affairs (JHA) actors that will strengthen their collective effectiveness and operational impact. ITS San Marco has replaced ITS San Giusto and is acting from today as the new flagship of Sophia Task Force, fully involved on the renewed focus on information exchange with law enforcement agencies, as well as the additional task of gathering information in support of UN Resolutions against illegal oil smuggling from Libya’s coast. EUNAVFOR MED operation Sophia (ENFM) is a Common Security and Defence Policy (CSDP) operation focused on disrupting the business model of migrant smugglers and human traffickers, and contributing to EU efforts for the return of stability and security in Libya and the Central Mediterranean region. 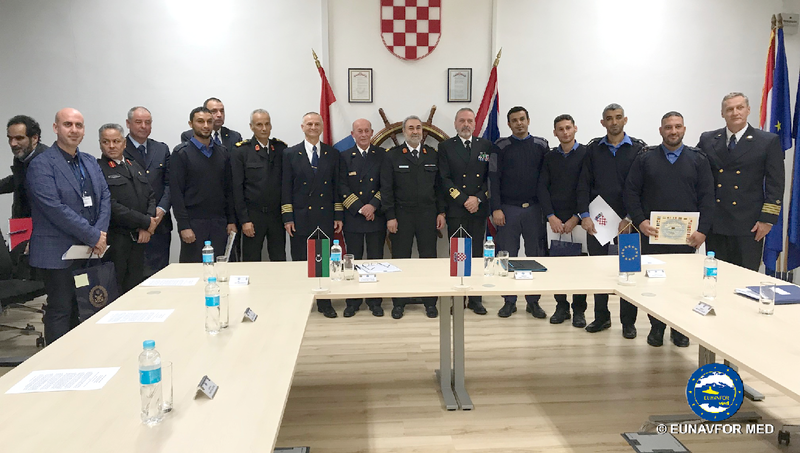 ENFM is the first EU maritime force providing maritime security in the Central Mediterranean and works closely with different national, international, governmental and non-governmental, civilian and military organizations. Initially launched in 2015, ENFM is part of the EU’s comprehensive approach to migration. On 25 July 2017, the Council extended the mandate of EUNAVFOR MED Operation Sophia until 31 December 2018.